Kumare, Phyllis Diller, and MeA few weeks ago, I watched the documentary, Kumare, about an American guy of Indian (Southest Asian Indian) descent who pretends to be a guru. It’s an amazing movie and I highly recommend it. It beautifully, and somewhat scarily, asks the question–why are we always looking for the answers outside of ourselves? 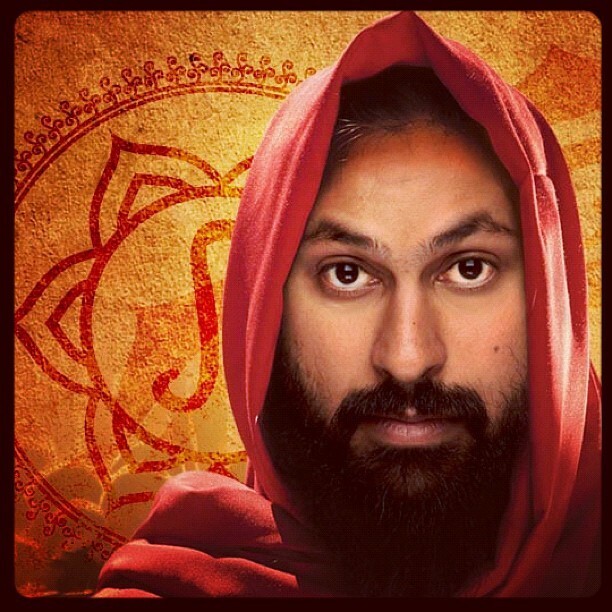 This man moves to Phoenix, and convinces a handful of people that he is really a guru. His whole philosophy is centered around the idea that the answers to life’s questions are really inside each of us. That we don’t need to look outside of ourselves. The answers are within. He says this a hundred different ways. People are really moved by him. I won’t spoil the end, but I promise it’s worth watching…and thinking about. I’m sitting here, on the first day of school, not going to school, not teaching, because I’m so tired I can’t teach anymore. It’s fibromyalgia and chronic fatigue. But what is that? I wonder if it’s just PTSD from my not-so-great childhood. Maybe it’s my fillings, my thyroid, my adrenals, my toxic toenail polish? My circadian rhythms, my longtime vegetarianism which included a lot of carbs! Who knows? That’s the thing. Nobody really knows. I’m reading a book called Healing is Possible. It’s by an M.D. who is also an alternative practitioner. It seems like a great book. He has a “big six” things that might be wrong with me/us. Then a little six too. It’s methodical and well presented. But there’s not a lot of scientific backup that I see. He practices pretty close to me, about a hundred miles away. I contacted the office to see what it would cost to go. Well, all done and told if I go about 10 times and take a bunch of tests and buy a bunch of supplements/meds, it’ll be probably $5K out of pocket. And still it might not work. Is he my guru? I emailed my Psychiatrist and she might be able to convince my Kaiser GP to give me the T3 test that might show that I need some thyroid medicine. Several books suggest that thyroid problems are behind FMS/CFS. This is after my failed efforts at getting answers from my GP and Endocrinologist at Kaiser, not that Kaiser’s bad, FMS/CFS is just a mystery, and mysteries are not part of the HMO cost-cutting ways. And I respect Kaiser in a lot of ways. But I don’t think Kaiser is my guru. Okay, this is sort of an aside, and will definitely age me, but the reason I have an endocrinologist at Kaiser is because I have a nodule on my thyroid that the Kaiser peeps say is unrelated to my FMS/CFS. The endocrinologist sticks a needle in it every couple of years to make sure it’s not malignant. I just realized recently that this is actually … wait for it … a GOITER! Okay, add that to the BURSITIS in my hip–I am PHYLLIS DILLER! Oh my God. Did anyone watch Flip Wilson back in the day? I was, of course, an infant, but I remember her complaining, in that nasally voice, “Oh my bursitis!” Maybe Phyllis Diller is my Guru. Or maybe the answer is within. Or maybe both. This entry was posted in Uncategorized and tagged books, care of the self, fibromyalgia, movies by Project Easier. Bookmark the permalink.